NPR is the leading podcast publisher in the US. Its monthly audience is more than double that of second-place WNYC. Podcasts are easily incorporated into daily routines. 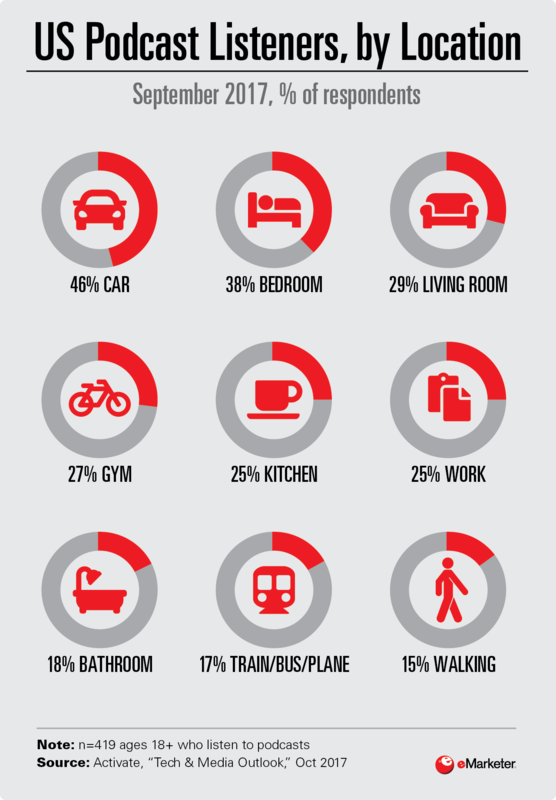 Close to half of listeners tune in while driving, and more than a quarter listen at the gym. 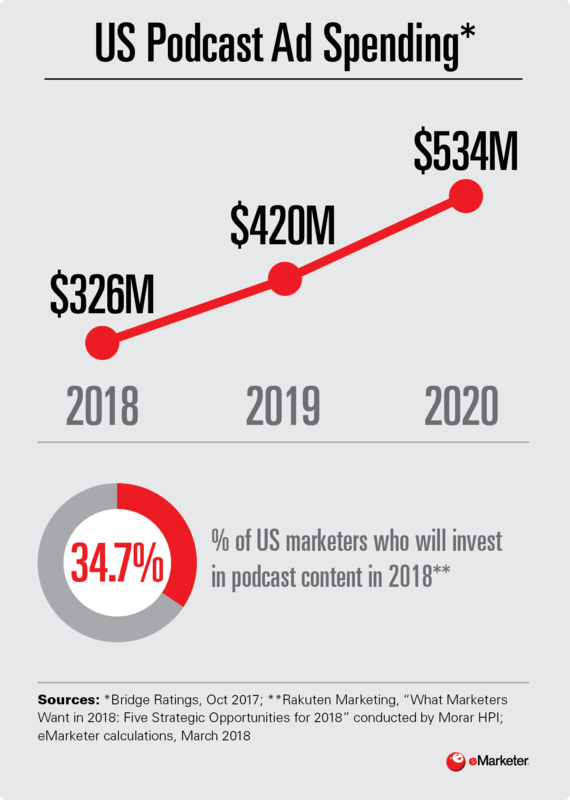 Podcasts give marketers access to a loyal and engaged audience. Though still a niche ad medium when compared with other audio formats, podcast ad spending is rising rapidly. Because podcast ads are generally contextually relevant, listeners are also likely to respond. Tune into "Behind the Numbers," eMarketer's daily podcast about the ways that digital is transforming media, marketing, business and even life.